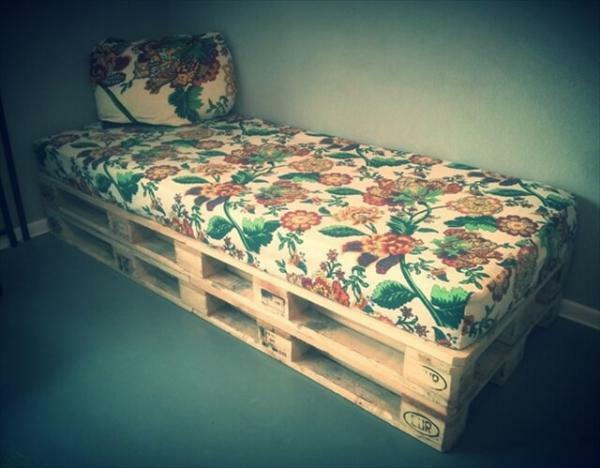 Recycling is the best way to reuse the objects and pallet art provides this opportunity to handle the broken wooden furniture in very productive way. 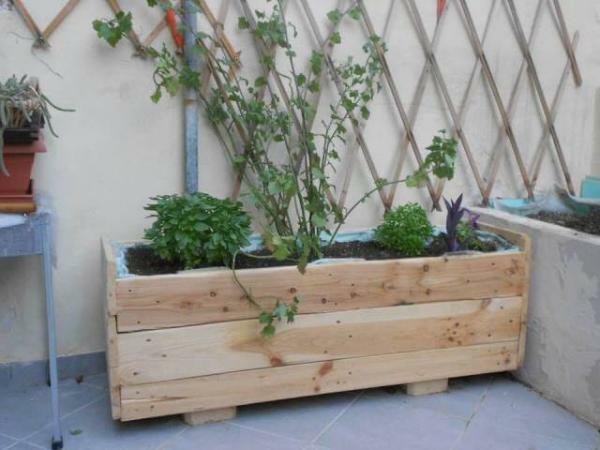 A variety of objects for daily life utility is available which is created through pallet art. 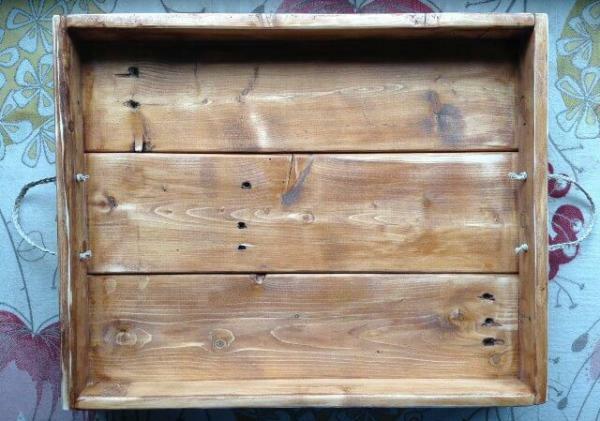 Serving tray is one of such object that can be made by pallets and are multipurpose in nature. 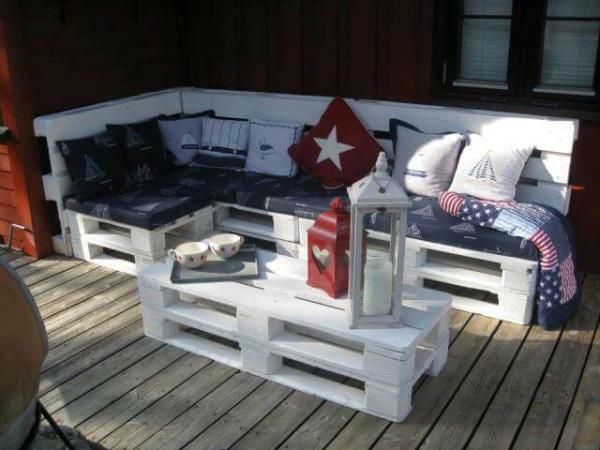 The most significant about pallet art is that it is a type of DIY art. 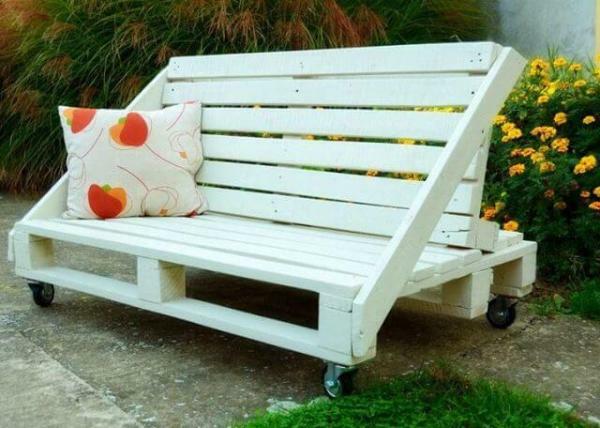 You can create these objects at home with a little effort. 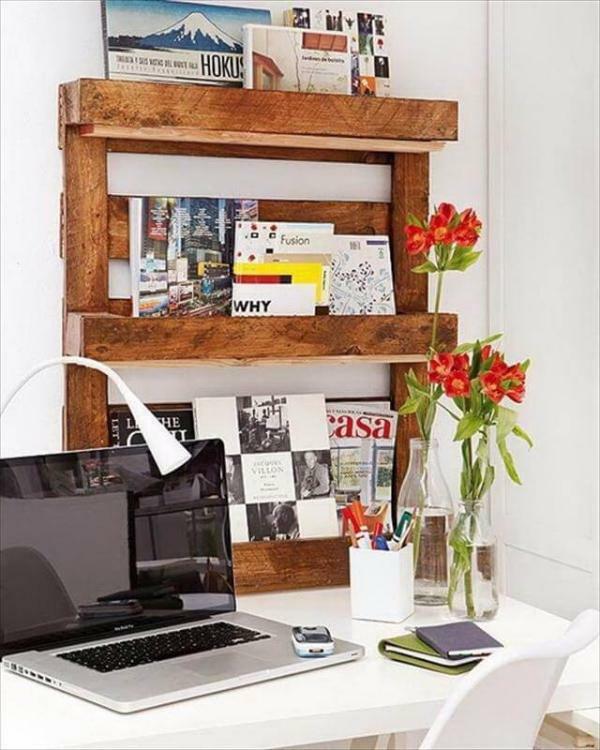 It is the best use of reclaimed wood. 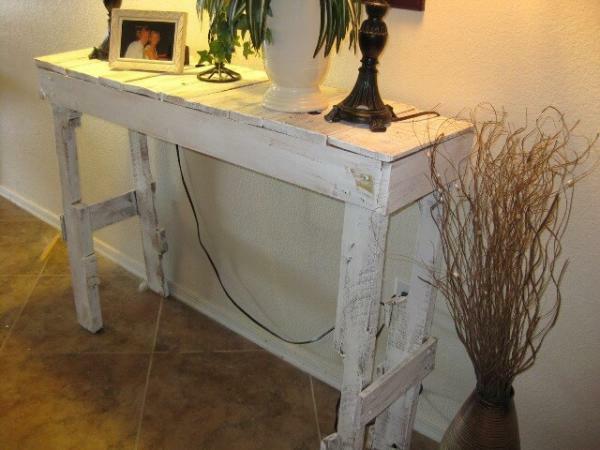 Using rustic nails and handles an antique look can be attained that enhances the beauty of object along with its usability. 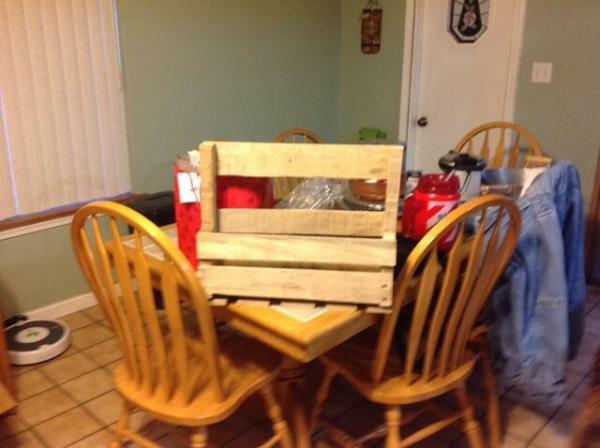 Pallet serving trays are available in different styles and sizes. 20 x 16 x 2.5 inches is moderate size. The original colors and designs of wood display a unique and fascinating look. 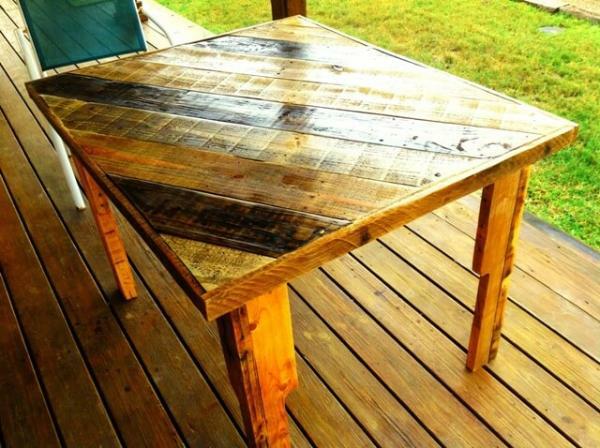 The final clear coat finish endows it with glaze in its natural looks. 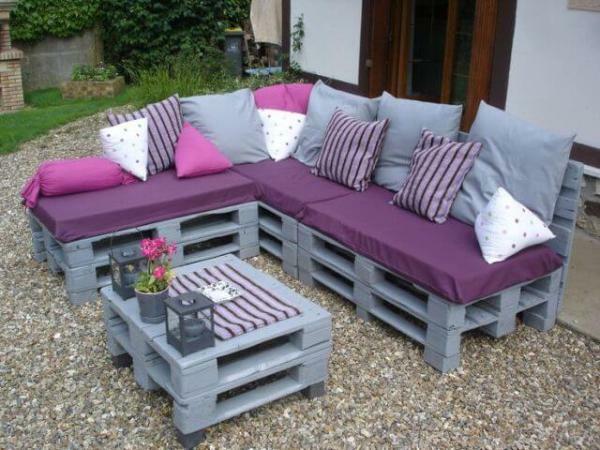 These pallet trays can be used indoor as well as outdoor venues. 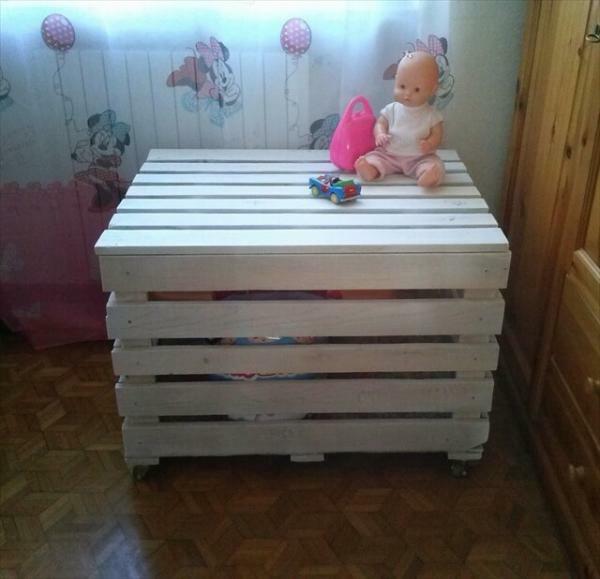 Handmade pallet trays can be prepared in different styles such as square, rectangle, triangle and round etc. instead of natural shades you can use colors of your choice to paint it as per your furniture or kitchen color scheme but don’t forget to seal the surface with coats of clear varnish to protect it against the weathering effects. 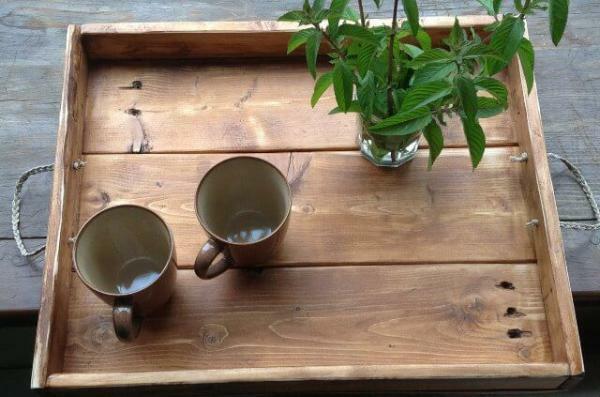 You may use these trays in your outdoor picnic parties and can store them at your camping huts for future use.